Next time you head to the beach for a dawn patrol surf session, be sure to check Twitter first. Government officials in Western Australia have tagged over 300 sharks with acoustic transmitters that alert computers when they get dangerously close to a beach. Will this be the future of safe human-predator interaction? When a tagged shark is about half a mile away from a beach, it triggers an alert with the satellite-linked shark monitors. These monitors then automatically tweet out a message on the Surf Life Saving Western Australia Twitter feed. The alerts tell you the type of shark, potential size, and approximate location. This innovative tagging system alerts beach-goers far quicker than traditional warnings, and empowers the individual to search for the latest info before heading out into the water. Should this be the way forward for other predator-human interactions such as bears in National Parks? I could see Yellowstone installing bear activity monitors to alert hikers of potentially dangerous trails to avoid the chance of any altercation. There is the potential for this kind of technology to create panic and give a false sense of security at the same time. The presence of sharks or other animals doesn't automatically mean they will attack. Also, just because the Twitter feed shows no sightings at a certain beach or trail, doesn't mean you can forget taking all normal precautions. What do you think- would you like to see this technology used more prevalently? 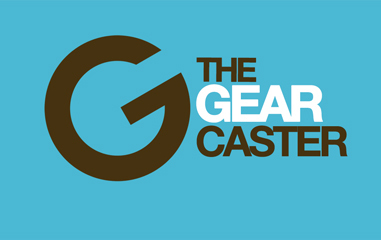 Find the gear you need at the best price with our new Gear Search Tool.